Welcome to the latest in the Races on our Radar series, where we report on cool and/or low-cost races, group runs, price and registration deadlines, and other things we think you should know about it. The Stoller Vineyards 5k is this Saturday in Dayton, and it’s only $20 when you sign up online. Registration comes with a free wine tasting and 20% off any wine you buy that day! May I suggest the Temperanillo? The Cheadle Challenge is an Adventure Run, so the $45 price isn’t too bad. This race is in Lebanon on Saturday. The Dogwood Dash is only $25, with online registration closing at 6p on Thursday. 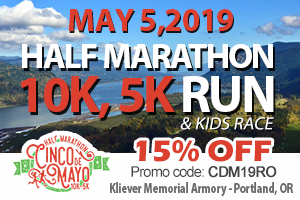 This race is Saturday in Milwaukie. The Salmon Creek Run has a 5k and a 10k, both priced at only $20 – but online registration ends at 9:45a on Thursday. This is NOT in Vancouver – it’s in Powers, Ore., which is located southeast of Coos Bay. In Marcola (near Springfield/Eugene) this Saturday, you can run the Shotgun Trail Blast 10k or 5k for only $25. There’s also a 35k for $35 and a 50k for $50, good prices all around. The Rogue River Watershed Council’s “World Fish Migration Day Festival & 5k” is in Grants Pass this Saturday, and if you sign up online by 9a on Thursday, it’s only $20. Sunday’s 4J 6k AVID Strides for Education is only $20 through April 6 for adults or only $10 for students. 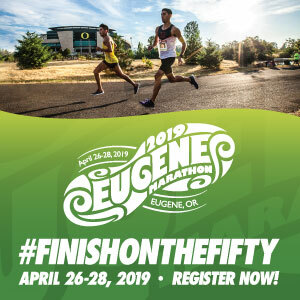 The race is in Eugene and online registration closes Saturday night. The Medford Pear Blossom Run is next Saturday, April 14, but the price goes up on the 9th. Through April 8, the 10-miler is $30 and the 5k is $23. On the 9th, prices jump $10 so sign up early. Coming up next weekend there is a whole other slate of great races for great prices. Check out the CASA Superhero Race running in Salem on Saturday, April 14, offering a 5k or 10k for $20 through April 11. The proceeds support CASA, which provides services for abused and neglected children. Superhero costumes encouraged! The following weekend, there’s a $10 5k taking place in Milton Freewater: the MFEA Earth Day 5k. If you’re living in that area, this looks like a must-do, as proceeds support local schools. Registration for the Grateful Dad Half Marathon goes up on April 17. Until then, the half is $59, the 10k is $49, and the 5k is $34. 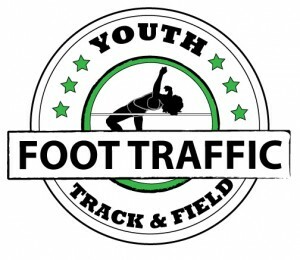 There are also special prices for youth to sign up for any distance. The race itself is on Saturday, June 16. Wouldn’t you like to run an event called “The Pastry Run?” How about one that benefits The Red Tricycle Brigade (they do all sorts of creative things to bring unexpected joy to kids in our area)? 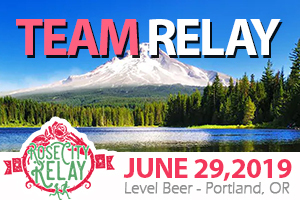 Register online for $25/person or $40/family here for this Sunday, April 22 event sponsored by Insomnia Coffee and running in Hillsboro. Registration for the June 17 Mt. Hood Scramble is open, and this is a tough (but fun) race that sells out each year. Sign up for $47 while there’s still room. The Oregon Senior Games takes place each year in Bend, and this year’s meet is on June 16. Sign up for as many events as you want, for just $30 … and you only have to be 50 to participate. That’s all I’ve got this week! Check back next Tuesday night to see what’s cooking for next weekend. And as always, if you’ve got a running news tip, send it to us!